The Co-operative Movement has its roots in the Lancashire textile town of Rochdale, England, where, in 1844, harsh living conditions and inadequate consumer protection - the adulteration of food by private traders was widespread - prompted 28 working men to adopt a new approach to the supply of food and other goods and the provision of social and educational facilities for ordinary working people by setting up a retail Co-operative society, the Rochdale Equitable Pioneers Society. These 28 Rochdale men scraped together a meagre capital and opened a shop in Toad Lane, where they sold wholesome food at reasonable prices. A share of the profit or surplus as they preferred to call it, was returned to members in proportion to their purchases - the famous Co-operative dividend or "divi". The Pioneers and other early Co-operators owed much of their inspiration to the Co-operative writings of Dr William King, a Brighton physician and philanthropist, and Robert Owen, a Welsh manufacturer and social reformer. From the decisions and practices of the Pioneers, based on the Owenite theories of Co-operation, the Rochdale Principles of Co-operation were fomulated. These included: voluntary and open membership; democratic control - one member, one vote; payment of limited interest on capital; surplus allocated in proportion to members' purchases - the dividend; and educational facilities for members and workers. It is not claimed that the Rochdale Pioneers Society was the very first Co-operative nor was its shop the very first Co-operative store. There were earlier societies, but even those that survived came to adopt the Rochdale pattern of Co-operation as the best means of operating a Co-operative society and fulfilling its aims. 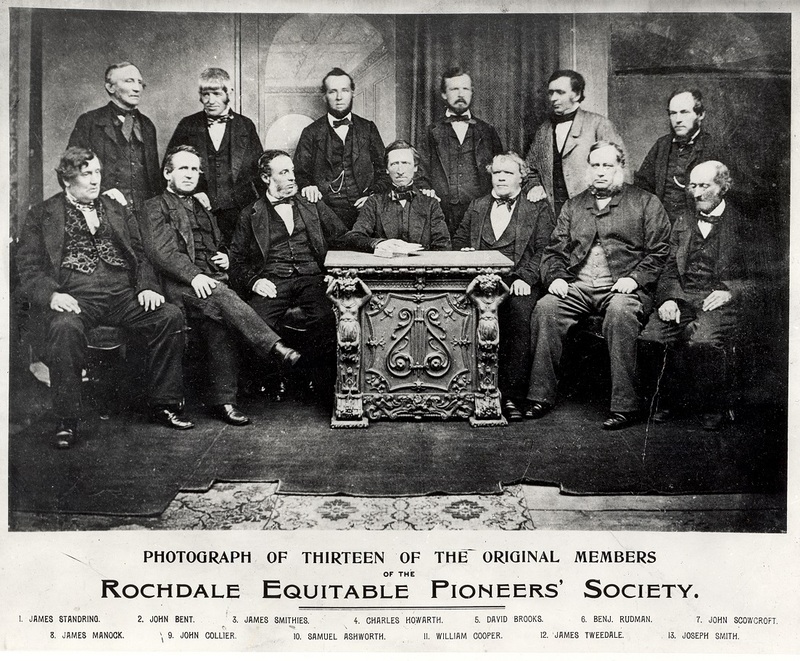 Rochdale became a model for the formation of similar Co-operative societies throughout the United Kingdom and around the World. The Rochdale idea of Co-operation has spread throughout the world and today there are 1 billion Co-operators in 95 countries. In 1895, the International Co-operative Alliance was established to support the development of Co-operation around the World.